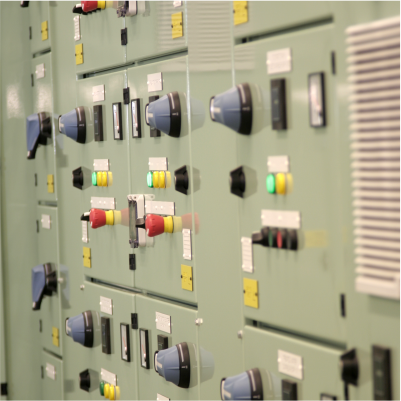 With over 50 years in the control panel manufacture and system integration industry, Paktronic Engineering have built an excellent reputation for the supply of high quality, custom built control panels and commercial client systems. We not only supply the Midlands and UK, but also export worldwide to several countries. We can design and build completely bespoke control panels varying from a Form 2 Wall Mounting Enclosure to Form 4 Multi Section Intelligent Motor Control Centres complying to the latest BS EN 61439-1 (2011) / BS EN 61439-2 (2011) Low Voltage Regulations. A complete System Integration solution is also offered, whether this is a PLC or SCADA system. Paktronic Engineering are proud to be a ‘framework supplier’ to Anglian Water, supporting their Control Panel, MCC, LV Assemblies and System Integration requirements. We can Design and Fabricate a Control Panel Solution complete with Design Documentation and Operation and Maintenance Manuals, using the highest quality components at a competitive price with a speedy delivery. As you would expect from a company that has been successfully operating for over 50 years our range of products and services cover a very broad spectrum. During this time Paktronic has remained at the forefront of Low Voltage Control Panel manufacture keeping abreast of all technological advances across all areas of design and manufacture. This has enabled us to offer our clients the latest solutions but crucially, have the engineering resources to be able to fully support our products and systems through their full life cycle. • Thermal Imaging Camera Metalwork Options. • Modifications/Extensions to existing panels. • Feasibility studies, Functional Design Specifications, Test Documentation.